Being the capital of the UK, London is a thriving commercial hub with a total population of just over 9 million, reported at the end of 2018. Being such an economic hub, salaries can often be inflated due to fierce competition for top sales talent. London is one of the world’s largest financial centres, a centre of international trade and is home to the head offices of most of the UK’s top companies and more than 100 of Europe’s 500 largest companies. 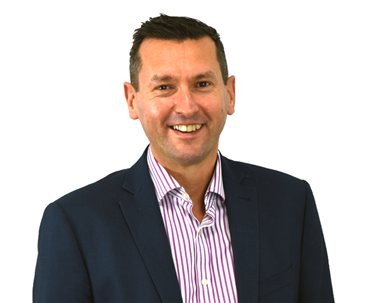 With the large range of business activity across pretty much every sector you can think of, the majority of top sales professionals in the UK will have worked a stint in the capital. How Much do London Sales Professionals Earn? Median Average Salary is displayed as the main metric and data label on the graph, aggregating the 5 different salary data sources. 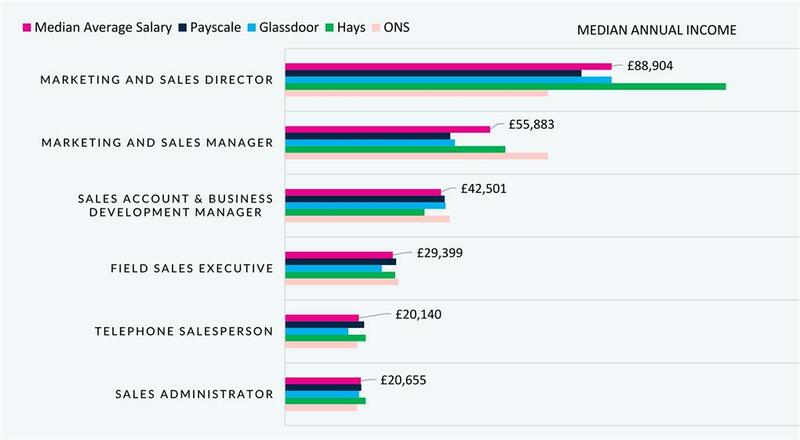 Office of National Statistics (ONS): Breaking down job titles by SOC job title codes, we have reviewed national salary data from 2011 using ASHE reports, which uses 1% of earners on PAYE tax, in absolute terms around 300,000 UK earners. Hays – a global specialist recruitment group, who produce a large amount of salary data based upon the vacancies they advertise. For our study, we reviewed all salaries in the job title definitions, reported between 01/02/2019 and 28/02/2019. Payscale – an international salary reporter, Payscale provide the largest real-time salary survey in the world with more than 150,000 new survey records added every month. For our study, we used reported job title salaries as of 28/02/2018. Glassdoor – over 855,000 company salaries are reported on by employees across the world through Glassdoor, an independent company information site. For our study, we used reported job title salaries as of 28/02/2018. The information is provided choosing Median Data. The median is the value below which 50% of jobs fall. It is ONS’s preferred measure of average earnings as it is less affected by a relatively small number of very high earners and the skewed distribution of earnings. It therefore, gives a better indication of typical pay than the mean. Our main median average salary metric aggregates all sources providing a non-biased view of true salaries by job title and region.